HIFU is another technology used to target specific focused areas of fat in the fastest possible treatment time. The high frequency of the ultrasound wave results in heating under the skin, effectively destroying the fat cells and tightening the skin in the area treated at the same time. The treated cells are then flushed away via the body’s natural removal process. This process continues for up to 6 months post treatment. Not every patient will be an ideal candidate for HIFU body sculpting so it is important to book in for a complimentary consultation with one of our trained technicians. Our medical grade HIFU handpiece delivers macro focused ultrasound waves to a precise depth to cause Necrosis of the fat cell which for some patients can result in instant, permanent fat reduction. The controlled movement of the handpiece results in a grid of treated fat cells making this treatment ideal for permanent fat reduction and precision body sculpting. The ideal candidate for HIFU is for a person who is mildly above ideal weight, and cannot shift stubborn pockets of fat. HIFU is ideal for sculpting larger areas, and the candidate should be within 10-15kg of their ideal weight range. HIFU is not a weight loss treatment and does not replace the benefits of proper diet and exercise. It does not treat obesity. How many Treatments of HIFU are recommended? Generally anywhere between 2 to 4 treatments per area are recommended, however many clients see results after a single treatment. It is important to come in for a thorough assessment so our Therapists can tailor a specific plan designed for you and your goals. Permanent, as long as you maintain your weight with your normal diet and exercise, your long term results should remain stable. Results can be seen from 2 to 4 months post treatment. 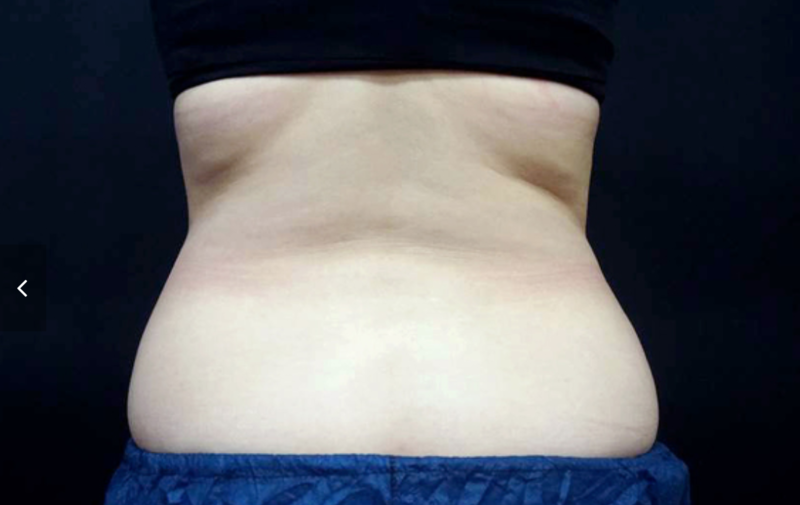 The average permanent fat reduction of the treatment area after just one single session is typically 2 to 4cm. Its important to note that these treatments continue to work after you have visited the clinic, as they work on your body’s own natural elimination process. Can I combine HIFU Fat Reduction with other treatments? 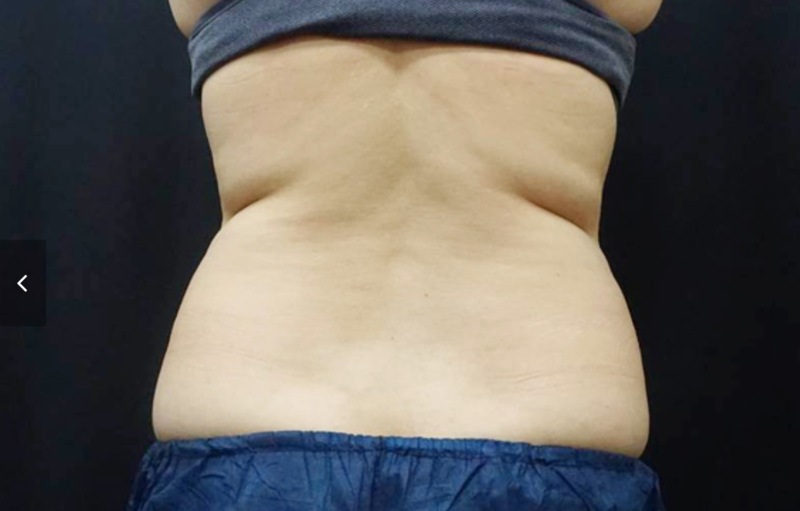 Our HIFU fat reduction treatment is best for targeting larger stubborn pockets of fat, however if you wish to have more of an overall fat reduction treatment your therapist may recommend combining your HIFU body treatment as part of a treatment course incorporating other technologies for a more complete fat reduction treatment. Body Sculpting Clinics have specific technology that can be combined to enable you to target your needs and devise a specific and bespoke treatment plan for you ensuring maximum results. A handpiece will be placed on the skin, this is the handpiece used to target focussed energy to the fat cells. The handpiece is placed on the area of treatment and held there for approximately 2 minutes, this will be repeated 3 times per treatment area. During treatment, you may feel the warmth of the handpiece, and in some cases it may get slightly hot and uncomfortable. You may also feel a slight vibration and tingling sensation, although this is completely normal. This treatment must be performed by a trained therapist. Our Clinical Technicians are trained therapists that specialise in aesthetic, non-surgical, non- invasive body transformation procedures. Approximately 60 minutes per area. Varies depending on the size of treated area.